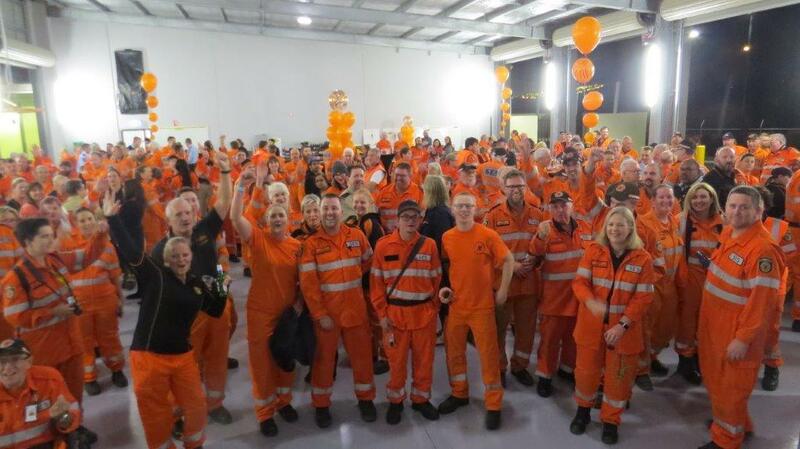 The 2000 State Emergency Service (SES) Volunteers across the state of Western Australia celebrated WOW Day 2018, on 23 May 2018. 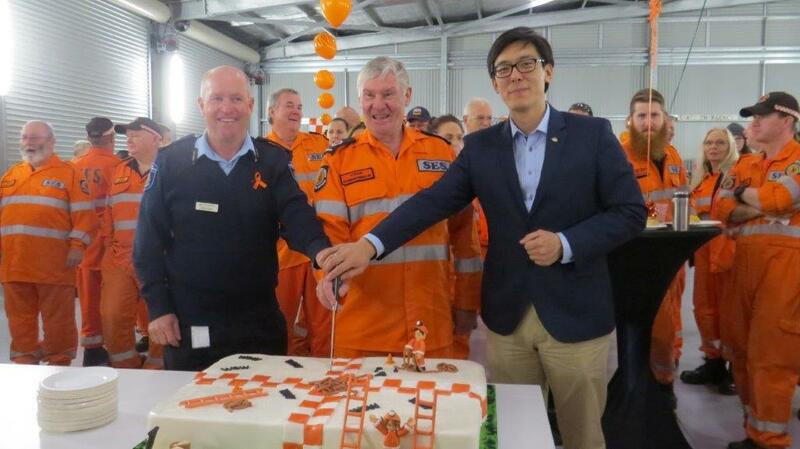 More than 280 SES Volunteers from the Perth metropolitan area gathered at the Gosnells SES Unit’s Emergency Operations Centre to celebrate this special day for SES Volunteers. Wearing Orange on Wednesday (WOW Day) is to recognise, celebrate and thank SES Volunteers for their great volunteering work in the community. A highlight of the evening was a talk by Mr Will Golsby, the General Manager Corporate affairs for RAC, who announced a donation of $100,000 to SES for the purpose of buying Automatic External Defibrillators (AEDs) for all SES units. This medical equipment is to provide additional support to our operational roles. This week is National Volunteering Week, where we thank all volunteers in Australia for their contribution to a better society. DFES Chief Superintendant Greg Feeney, SESVA President Mr Gordon Hall and Hon. Pierre Yang MLC share the cutting of the SES cake.